If you know that you are facing some jail time for an arrest warrant, it is wise to plan ahead and have your bail prearranged. Most bail bond companies offer prearranged bail bonds for those surrendering to arrest warrants, which makes the process easier and more efficient. However, not everyone can plan ahead for a bail bond when they are arrested on the spot. In this case, a person may wish they had learned how to use a local bail bondsman before finding themselves in jail, especially if they have no one else to help. Instead, plan ahead by learning what you need to know about posting your own bail by using a local bail bondsman, just in case. Of course, this knowledge is also helpful for those around you, so be sure to share what you’ve learned with anyone else who is facing an arrest or jail time. 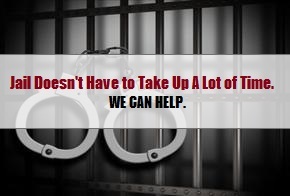 Once you are in jail, your first step to using a local bail bond is finding one to hire. Usually, it is recommended to use an online portal or recommendations from friends and family to find a reputable bail bond company, but when you are in jail, this is not always possible. To get around this, you can either use the phone book or directory provided by the jail, or you can ask the detention center staff for recommendations since most often, they have good relationships with the local bail bond agents. If you have already contacted your attorney from jail, you can also rely on them to either arrange bail bond services for you, or provide suggestions and contact information for a local company. When you call your local bail bond agent, you will need to give them a certain amount of information over the phone to get your release in process. They will likely ask for your name, address, phone number, date of birth, employment status, criminal charges, and more. Be patient and answer as many of the questions you can in detail. If they agree to provide service for you, your next step is to ask them a series of question, the first being their bail bond fee. Bail bond fees are regulated by state laws. In Indiana, bail bond agents are not allowed to charge no more than 10% of the total bond amount. So if your bail is set at five thousand dollars, your bail agent can charge as much as $500, which is a non-refundable fee by the way. A bail agent may choose to reduce their fee under certain circumstances. 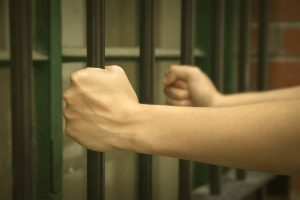 If a person is a habitual offender, or has a history of skipping bail, they might be rejected altogether. Once you have a bail bondsman working on your release, all you have to do is wait for them to provide further instruction. Usually, the bail bond agent will pick you up from the jail once you are released, and then take you to their office for you to finish the paperwork and sign the contract. After that, you can call for a ride home and await your court date. This entry was posted in Bail Bonds and tagged arrest warrant bail bonds, bail bonds help Indianapolis, bail bondsman Indianapolis, get bail bond in jail, local bail bondsman. Bookmark the permalink.